First of all thank you so much for visiting my website. Now a water purifier is a very good investment you can make for your and your family’s health. 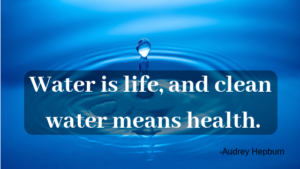 Most of the diseases spread through water, this fact alone is enough to state the importance of pure water for our body. But when you’re are trying to buy a new water purifier for the first time it is very difficult to know which water purifier is good for you. There are a lot of brands out there which have a lot of water purifiers having a lot of water purification technologies is as well as filters, which is very overwhelming for consumers. Me too had some bad experiences and my relatives also bought water purifiers which were not able to purify the water completely. That’s when I took this water purifier matter seriously and started doing research about water purifiers available in the market different water purification technologies and filters. And created a buying guide which will help you to identify which water purification technology you need to purify the water you are using right now. I have also create a list of the best water purifiers available in India in 2019. It includes RO, UV and UF water purifiers. I hope you’ll find this blog helpful.